Home Evans EMAD Clear Bass Drum Head 20"
Evans EMAD Clear Bass Drum Head 20"
$39.49 This may be in stock for quick delivery; please call! 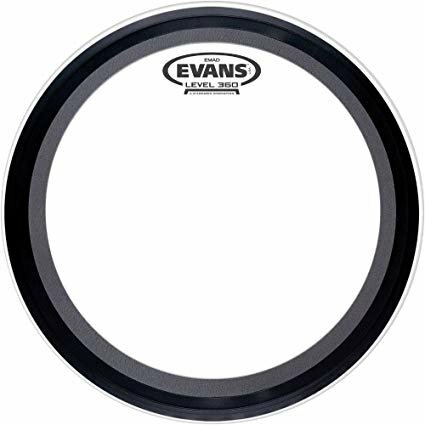 Evans clear EMAD batter series features a 10mil of single-ply film providing an ideal balance of punch, power and low-end. The EMAD contains two interchangeable damping rings that maximize attack and low-end without removing the head or reaching inside the drum. The unparalleled industry standard externally mounted adjustable damping system allows the player to adjust attack and focus.